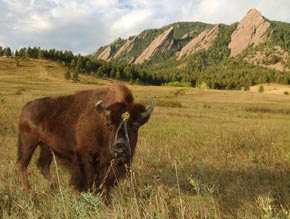 The University of Colorado at Boulder (CU-Boulder, UCB officially; Colorado and CU colloquially) is the flagship university of the University of Colorado System in Boulder, Colorado. CU has produced a number of astronauts, Nobel laureates, Pulitzer Prize winners and other notable individuals in their fields. It is known as one of the Public Ivies. 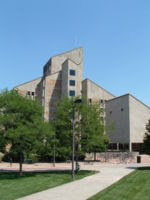 The January 2004 edition of The Economist ranked CU's science programs as the 11th-best public university in the nation and 31st best public university globally for 2003. The U.S. News and World Report currently ranks the university 79th in the nation overall (private institutions included) and 34th best among public universities. CU-Boulder ranks 26th in the country among Top Public Research Universities in the listing published by the Center for Measuring University Performance. These rankings are based on nine measures including research, National Academy members, faculty awards, doctorates granted and ACT range, among others, making them both meaningful and significant. In 2004, Carl Wieman was named U.S. Professor of the Year. As the flagship university of the state of Colorado, CU-Boulder is a dynamic community of scholars and learners situated on one of the most spectacular college campuses in the country. As one of 34 U.S. public institutions belonging to the prestigious Association of American Universities (AAU) – and the only member in the Rocky Mountain region – we have a proud tradition of academic excellence, with four Nobel laureates and more than 50 members of prestigious academic academies. On March 14, 1876, the Colorado state legislature passed an amendment to the state constitution which provided money for the establishment of the University of Colorado in Boulder, the Colorado School of Mines in Golden, and Colorado Agricultural College in Fort Collins, now known as Colorado State University. Two cities competed for the site University of Colorado: Boulder and Cañon City. The consolation prize for the losing city would be home of the new Colorado State Prison. Cañon City was at a disadvantage as it was already the home of the Colorado Territorial Prison (There are now six prisons in the Cañon City area). In the early days of the University’s construction, Boulder Sheriff David H. Nichols made a midnight horseback ride from Boulder to Denver with $20,000 to give to the state to help with expenses of building the University. For this effort, the University named a residence hall after him - Nichols Hall. In the 1980s it came to light that this same Mr. Nichols took part in the infamous Sand Creek Massacre, in which the Colorado Militia massacred a tribe of Native Americans, including many women and children, who were peacefully encamped along Sand Creek. After some debate, the name of the dorm was changed to Cheyenne Arapaho Hall after two Native American nations indigenous to Colorado. The cornerstone of the building that would become Old Main was laid September 20, 1875. The doors of the university opened on September 5, 1877. At the time there were few high schools in the state that could adequately prepare students for university work, so in addition to the University, a preparatory school was formed on campus. In the fall of 1877, the student body consisted of 15 students in the college proper and 50 students in the preparatory school. There were 38 men and 27 women, and their ages ranged from 12-23 years. CU-Boulder offers more than 3,400 courses each year in approximately 150 areas of study. There are 85 academic majors available at the bachelor's level, 70 at the master's level, and 50 at the doctoral level. Our outstanding academic departments and programs include astrophysical and planetary sciences, biochemistry, biology, chemistry, engineering, English, entrepreneurial business, geography, integrative physiology, law, music, physics, and psychology. Talented undergraduate students may participate in honors programs, the Undergraduate Research Opportunities Program, and 10 residential academic programs featuring small class environments. Opportunities for graduate study are available through the Graduate School, the Leeds School of Business, and Colorado Law School.